“But to you who are listening I say: Love your enemies, do good to those who hate you, bless those who curse you, pray for those who mistreat you. If someone slaps you on one cheek, turn the other also. If someone takes your coat, do not withhold your shirt. Give to everyone who asks you, and if anyone takes what belongs to you, do not demand it back. Do to others as you would have them do to you. If you love those who love you, what credit is that to you? Even sinners love those who love them. And if you do good to those who are good to you, what credit is that to you? Even sinners do that. And if you lend to those from whom you expect repayment, what credit is that to you? Even sinners lend to sinners, expecting to be repaid in full. But love your enemies, do good to them, and lend to them without expecting to get anything back. Then your reward will be great, and you will be children of the Most High, because he is kind to the ungrateful and wicked. Be merciful, just as your Father is merciful.” – Luke 6.27-36It is good to be back! I spent the last four weeks conducting two ten-day series in both Paradise, CA and Raymond, WI (a little north of Chicago), with only one day home in between both. Last week, I was catching up with my much-missed family. But this week, I’d like to continue where we left off with our third and final pass at Jesus’s words here in Luke 6. Again, so much could be said about Jesus’s teachings on Active Nonviolence or Nonviolent Noncooperation. I want to encourage each of you, if you have not had the chance, to, at bare minimum, check out part 3 of the eSight series I wrote last year on this at https://renewedheartministries.com/Esights/06-12-2012. In Part 3, I share the cultural context of turning the other cheek, giving away your tunic, and going the second mile. Another ironic example of this principle is found in the very story of the betrayal and murder of Jesus. A friendship was struck between Herod and Pilate, who, until Jesus appeared on the scene, were actually enemies. What I find breathtakingly amazing is that Jesus, in Luke 6, is announcing a new kind of society, a new way of living life together, a “kingdom” not centered around a common enemy, but around actually loving your enemies, whomever they may be. Love of the enemy, when one carefully combs the teachings of Jesus, is found to be at the core of everything Jesus was about as well as the kingdom he came to establish and enlarge. This was a new commandment for sure. In Matthew’s gospel, Jesus shares how love of the enemy goes above and beyond the commands that the Jews were used to — those received from Moses. Remember, Jesus is talking here not about “going to heaven,” but about being a part of his kingdom which is from heaven, and which is also a kingdom that is both here and now. The Kingdom of Heaven, of which Jesus here speaks, is not a kingdom in heaven, but a kingdom which is “of” heaven, or from heaven to Earth through Jesus. And to be a part of Jesus’s new kingdom here, now, you were going to have to embrace a morality that went far beyond that which was found in the old laws. A few years ago, I placed my 16-year-old daughter on an airplane and she flew from West Virginia to Colorado all by herself to visit her grandmother. The way flights worked then, especially with her being underage, she was assigned a flight attendant to watch over her. The intention of the attendant was to get her safely to her grandmother’s care. Once my daughter was in the company of her grandmother, it would have been foolish for her to cling to the flight attendant. Now before she reached her grandmother, it was imperative that she comply with everything the flight attendant asked her to do. But once she reached her grandmother, it would be in perfect harmony with the desires of the attendant that my daughter go with and listen to her grandmother. But what if, over the course of the flight, my daughter had become fondly attached to this flight attendant, and when she arrived in Colorado, had refused to go with her grandmother, desiring to stay “under” the authority of the flight attendant? Though in one sense she would be desiring simply to stay “submitted” to the flight attendant, in actuality, she would have been in utter violation of the attendant’s original intention all along. You see, by staying under the law and refusing now go and live “under” the new “law of Christ” (see 1 Corinthians 9.19-21), we are actually violating the original intention of the old law. The opposite is also true: in now following Jesus over and above the old law, we are not insulting, negating, or “nullifying” that law; actually, now that Jesus has come, we, in following Jesus, are following fully the original and ever-present intended purpose the law had all along. Look at it this way — this is one of Paul’s statements that I consider to be a traditionally misunderstood passage. In the past (thank God things are changing today), most have seen this verse as saying, “We are no longer under those demanding and oppressive rules of the past. Now we are under God’s permissive grace and forgiveness for our continual shortcomings.” But this isn’t at all what the context implies. What Paul is contrasting are two moral or ethical standards that we can choose to allow to govern how we should live. 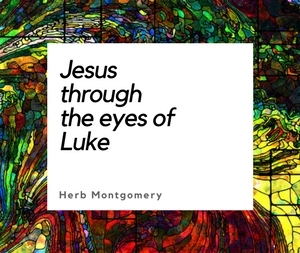 Now that Jesus has come, I have two moral standards to choose from: 1) the old laws delivered by Moses (eye for eye, tooth for tooth; the retributive justice of the law), or 2) the new, higher standard of morality found in the teachings of Jesus concerning grace toward our enemies (love your enemies; the restorative justice of grace). These are our options in deciding how to live: the “law” of Moses (which was an improvement from the way his people had lived previously), or the “grace” teachings of Jesus (which are an improvement upon the laws delivered by Moses). And what was at the core of these new ethical teachings? Again, enemy love. Some things in the new ethics will overlap with the old ethics. In other words, some things both Jesus and Moses commanded, and they will remain the same. But even in these, I, as a follower of Jesus, will actually be following them because they were things Jesus taught, and it just so happens that Moses taught them too. Some things from Moses I will not follow (Deuteronomy 19.21 — “Show no pity. Eye for an eye, tooth for tooth” — being a prime example), because I am a follower of Jesus, and Jesus calls me to a different, but also higher, ethical standard of love of enemy rather than retaliation. In this example, I will choose the restorative justice of Jesus (grace) rather than the retributive justice of Moses (the law). I’ll close this week with Jesus’s own words in John, a story from Luke’s Jesus story as well, and some background on Acts 2. Lastly, the feast of Pentecost, celebrated fifty days from Passover, was a celebration of the giving of the law on Mt. Sinai some fifty days after the exodus. According to Jewish tradition, the law was supernaturally uttered from Sinai in the 70 languages of the nations of the world. But in Acts 2, what is proclaimed on this Pentecost is the life story of Jesus told by the apostles, and heard in every language present in Jerusalem that day. Much to ponder, for sure. 1.Prayerfully, go back over the verses shared in this eSight, paying special attention to the context of each. 2.Write down any thoughts, questions, or personal challenges with which you are faced, submitting each question and challenge in prayer to God, asking Him to give you deeper insight this week as you meditate on the Jesus teaching of love-of-enemy. 3.Divide up what you have written down into two categories, “Insights/ Personal Challenges” and “Questions.” Then be prepared to share each with your HeartGroup, especially any questions that have remained unanswered, and discuss these as a group. Keep living in love, enemy love, loving like Christ. And keep enlarging the Kingdom. Till a world where love reigns is the only world that remains.